The life expectancy of humans has been increasing at a steady rate for a bit over a century. The increase is about one quarter of a year life expectancy per year. The graph is not showing signs of plateauing. Claims that the next generation my be the first to see a decrease in life expectancy, is scare mongering on the part of public health officials. The fastest growing sections of the population in the developed world are the over 90s and centenarians (albeit percentage increases are greater coming off a low base). There are two vital things that people need to do as they get older. One is to maintain their health and the other is to have enough money to live on. There is starting to be, in government circles, a discussion about retirement age and how pensions are going to be funded. In 1950 the OECD average of people working to those over 65 was 7 to 1. Now it is 4 to 1 and the projection for 2050 is 2 to 1. Also in years gone by life expectancy was lower so the number of years on a pension was less. Today a person retiring at 65 may have easily another 15-20 years to live. So what has all this got to do with health you may be wondering? 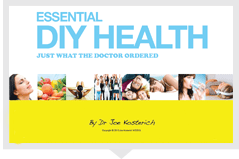 Pillar 8 of DIY health is fun and purpose. As my friend George Helou says, “If you are looking forward to retirement you are in the wrong job”. When you look at those who have been highly successful in their business, often they are the same people who continue to work long past “retirement” age. Rupert Murdoch is one who comes to mind. Donald Trump is not yet 65 but there is no way he will retire at that age. Successful business people could most easily afford to retire but don’t. It is not because they need the money. It is because they enjoy what they are doing. It is important for our health to be happy. Professor Martin Seligman of The University of Pennsylvania has defined Authentic Happiness as having three components. These are fun, challenge and purpose. What we do needs to be fun but eventually lying on the beach will get boring. We need a challenge because that stimulates us and we need to feel that what we do matters, that there is purpose in what we are doing. People doing jobs, which provide none of these factors, will be hanging out for the next holiday and certainly looking forward to retiring. Those whose work, and it can be voluntary work or other pursuits such as writing, still enjoy a break, but don’t want to stop, because they love what they do. We all like to feel that we matter and what we do has some relevance. This may be at the family level, at work or at a broader community level. One level is not particularly higher or lower than the other. Purpose relates to your desire to contribute and be part of something that is bigger than yourself. This connects us to our fellow human beings, be they in our family, business or community. Purpose is related to challenge in that having purpose is setting about obtaining a goal. This could be building a house, raising a family, starting a new business or doing voluntary work. Each person has unique skills and talents and deep down, we all feel that those skills and talents are meant for a purpose. When we are doing what we enjoy then retirement is not on the radar. We are having too much fun and don’t want to stop. In turn when what we do is of value then there will be an energy (money) flow and reliance on a pension becomes a non-issue. Do what you love and love what you do-fun and purpose is a pillar of DIY Health.